The Government of Thailand has approved the proposal to name the Siamese fighting fish as the National Aquatic Animal. The decision was based on the recommendation of the National Identity Committee of Thailand which promotes Thai cultural pride, forwarded its endorsement of the fighting fish. The Government has approved the proposal owing to the cultural and historical significance of the Siamese fighting fish for Thailand. The Siamese fighting fish was chosen as it's a native, unique species to the Kingdom's waters and an important animal for Thailand's economy. 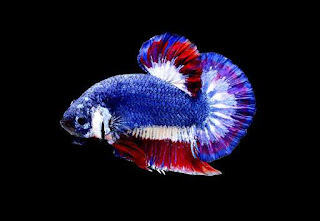 The Siamese fighting fish commonly known as the Betta is a popular fish in the aquarium trade. The Siamese fighting fish is native to the Mekong basin of Thailand, Laos, Cambodia, Vietnam and mostly found at Chao Phraya river in Thailand. The Siamese fighting fish was registered as intangible cultural heritage by the Cultural Ministry in 2013. The designation of Siamese fighting fish as Thailand's National Aquatic Animal could help boost both conservation efforts and commercial breeding. The IUCN status of the Siamese fighting fish is Vulnerable. Industrial & Military Effluents and Agricultural & Forestry Effluents. Q. The Government of Thailand has approved the proposal to name which fish as the National Aquatic Animal?